An extremely rare piece that is sure to strike up conversation. One of only 25 limited edition pieces ever produced, this stunning and unique timepiece is just simply remarkable. The Calibre de Cartier Grande Complication Perpetual Calendar features a platinum case with black alligator leather strap and deployment buckle. 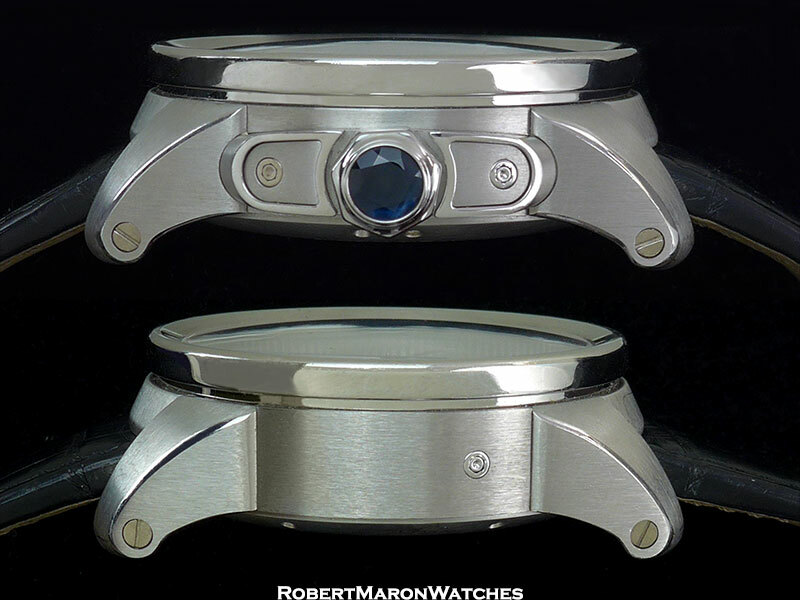 Measuring 45mm by 18.7mm thick with openwork dial and blue sword shaped hands. Bezel is fixed. 18k white gold dial features month, day of the week and date subdials with an approx 8-day power reserve. 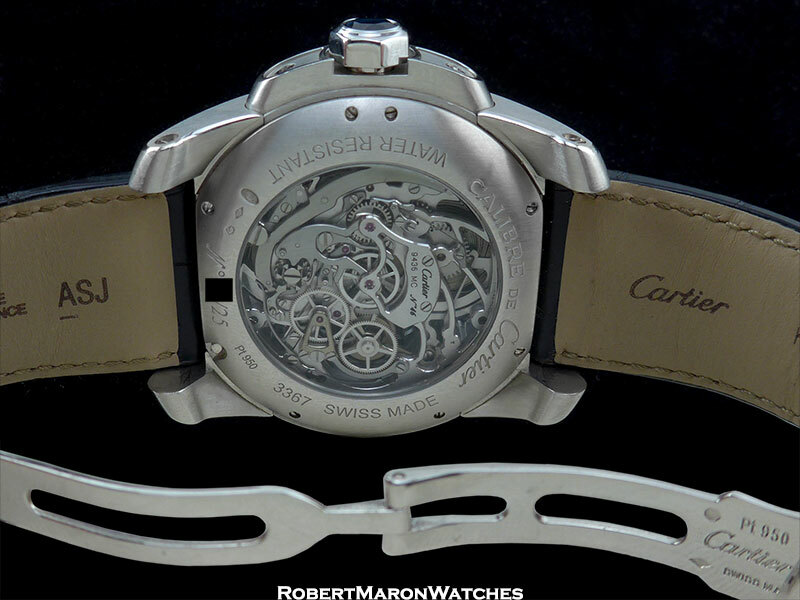 Transparent caseback with sapphire crystal. 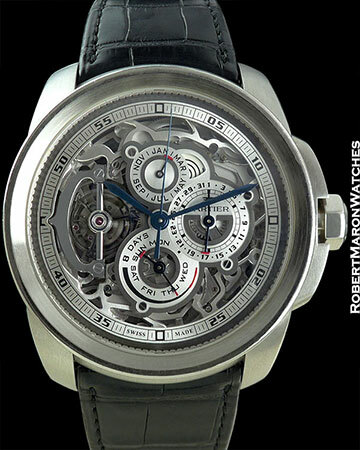 Movement is the manual wind Caliber 9436 M skeleton with tourbillion, single push chronograph and perpetual calendar. 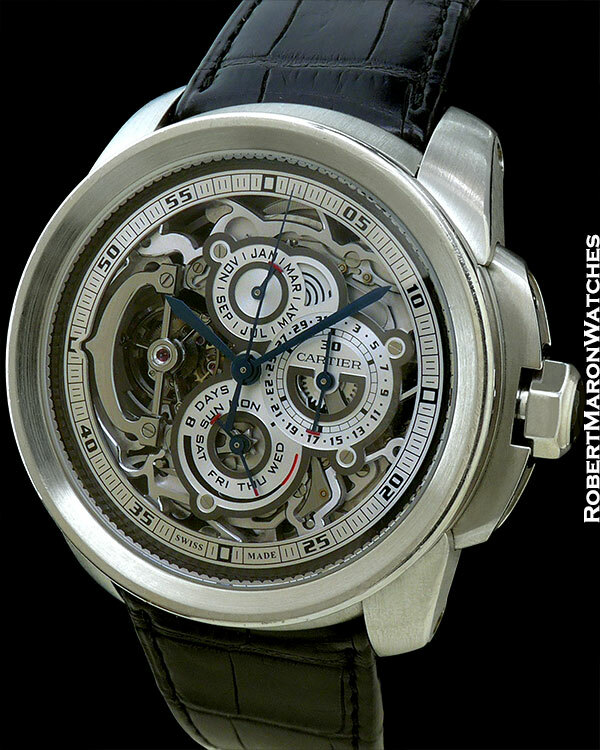 This Cartier Grand Complication is a true wok of art and is in excellent condition.